"Ridiculous Fishing is such a complete package that it's an effortless recommendation." It's also one of the finest games of the App Store, ever. "Ingeniously designed, continuously compelling, painstakingly crafted, dripping with personality, packed with content... Everything comes together to deliver a cohesive whole that works to alternate between making you smile, making you wonder, and most of all, making you want more." "Every aspect of the game, from the rewarding upgrade system to the unique graphics, displays an intricate craftsmanship we rarely see on the App Store." "One of the most mechanically satisfying experiences you'll ever find, and wrapped in a dazzlingly cool aesthetic." "Ridiculous Fishing illustrates what a difference it makes to care about your audience." "Most fishing games are fishing games. This is a fishing game." "Ridiculous Fishing makes for a exuberant experience that continues to delight for hours and days and potentially weeks." "Ridiculous Fishing, Vlambeer's fishing with guns game has been a long time in the works, but it's finally here and it's spectacular." "Vlambeer's game is, as its title suggests, ridiculous. In its simple, gleeful rhythms of play, it's sublime, too." 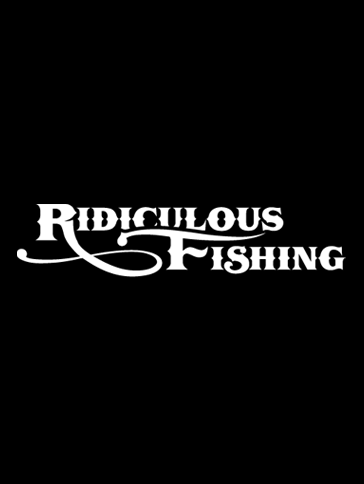 "Ridiculous Fishing doesn't care about fishing or shooting games, or fishing in general. To my knowledge it's also the first fishing game to come with a list of unlockable guns." "It makes the mass destruction of innocent sea life absolutely adorable." "Ridiculous Fishing is a simple concept that was turned into a game where a crew of incredibly talented people didn't take anything for granted in terms of presentation or polish. The results speak for themselves." "Ridiculous Fishing lives up to its name and then some. Come for the fishing, stay for the uzis." "I've come to think of Ridiculous Fishing as the unofficial game of Wes Anderson's movie The Life Aquatic." "Ridiculous Fishing is from an alternate iPhone gaming universe where Nintendo is the production quality standard and action is everything." "The short and addictive mechanics and extravagant production value mix in a perfect blend to a level that will be difficult to see replicated in other apps." "A rare pearl amidst the endless sardines of iOS games." "Ridiculous Fishing is something very special."